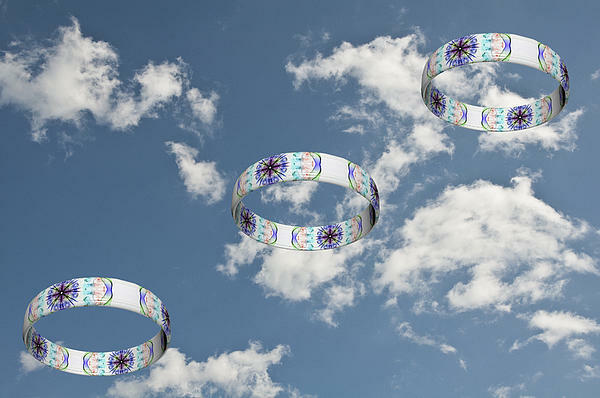 Very cool rings in the sky. I enjoy the patterns and colors here. Photographing smoke trails gives some weird and wonderful shapes and patterns. 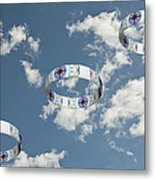 When this is combined with photoshop, it is surprising what can be achieved. An abstract smoke trail image. Original photograph manipulated and coloured in photoshop. 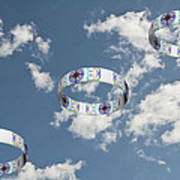 These smoke trails have been converted into 3D rings and imposed on a photograph of a sky with clouds.